There’s a lot to be excited about in Creature Quest, especially this week as the game’s biggest update ever goes live. Fans will be treated to the highly-anticipated Kingdoms feature, along with fresh Dungeon designs and loads of new events. Perhaps the most exciting news is the arrival of Kingdoms, which allows you and your creatures to build the kingdom of your dreams. You’ll have dozens of buildings to choose from to help expand your burgeoning kingdom. The best part? 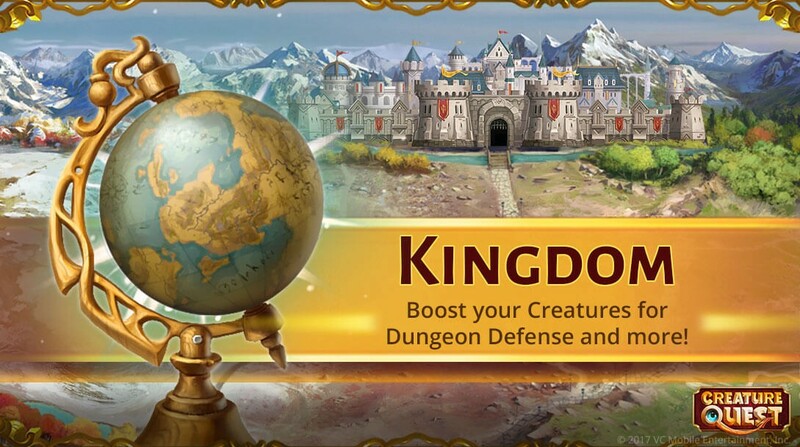 Developing a Kingdom will grant your creatures valuable status boosts for Creature Quest’s assorted gameplay modes. Dungeons, too, are getting an important overhaul. Silver and Gold Tier players can now fill out multiple dungeons. The more dungeons you fill completely, the better defense bonuses your creatures will deceive. Folks who pit themselves against players with multiple dungeons will be assigned to just one at random. You’ll be well equipped to face these new challenges, though, thanks to the new Combo Dot Fusion system, which lets players fuse creatures to create more powerful combinations with higher dot counts. And let’s not forget the events, for there are many. From now through October, players will be treated to all new Summon Events. The Class Mateys Event Quest takes place from September 18 through October 1. And you definitely won’t want to miss the School of Hard Knocks Summon Event from September 29 to October 1, where you’ll be able to challenge an all new Legendary Creature — Asura. If you’re new to the Creature Quest world, now’s the time to join in on the action — exciting new features and fresh quests make it the perfect time to start your next adventure. 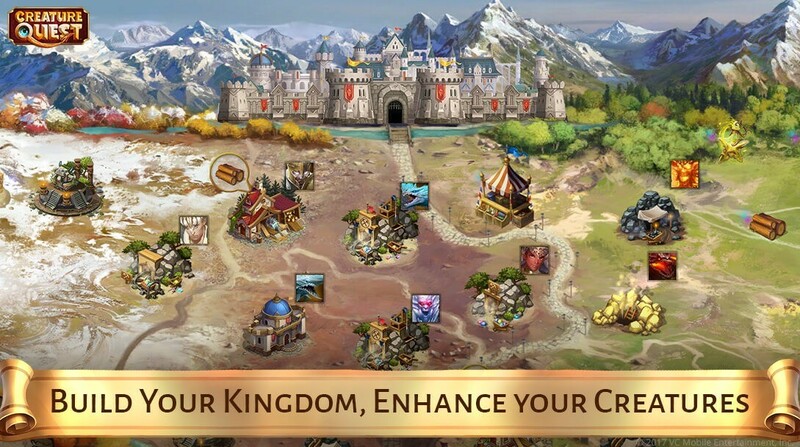 Creature Quest free from Google Play, the App Store, and Amazon Appstore.